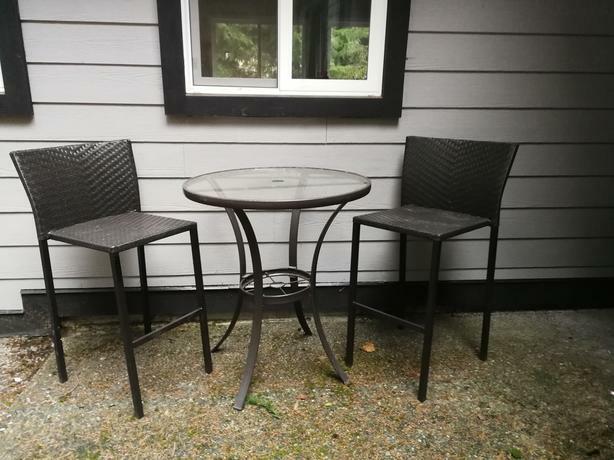 2 Bar stools purchased 1 yr ago from Canadian Tire (I believe about $70 each chair). Table is older but still in descent shape. $70 for the 3 pieces.